Here at The Luxury Travel Agency, we have a lot of exciting new partner friends to share with our fellow travelers. Through our great partnerships, we have a few new properties to add to our growing list! Of course, we know a picture tells a thousand words, but here are some little details about our new friends! Porto Zante Villas & Spa – At this resort, our guests will see the crystal blue water of Zakynthos in Greece! With a 3 hour complimentary private cruise through some of the most beautiful attractions of the island including the world famous Shipwreck and the Turtle Island. With majestic private sandy beaches that are as beautiful as they are secluded. This resort has delicious Greek, Mediterranean and Asian style restaurants all serving an array of tasty options to choose from. Each guests room is decorated and furnished with fine pieces hand selected, of the Armani Casa & Gervasoni and well known Greek artist paintings. This resort has received a number of awards and remains today as a top getaway destination for political leaders, important businessmen artists alike! In the heart of Santa Barbara, California, we invite you to stay at the Ritz-Carlton Bacara for your next trip to North America. A 78-acre oceanfront resort where relaxation and adventure are set against a backdrop of golden beaches glowing under the sun, colorful sunsets and lush mountains. This resort embodies the charm, beauty and elegance of Santa Barbara, offering ocean-view rooms, an indulgent spa experience and fine dining that celebrates local ingredients. Currently a Tier 4 property of Ritz Carlton and Readers’ Choice Awards for Top 20 Resorts in Southern California! Thinking about going to Beverly Hills? Well then you must visit the Mr. C Beverly Hills hotel! The timeless glamour of Beverly Hills comes alive here with stylish European comfort with contemporary amenities, elegant service and personalized experiences by the fourth generation Cipriani family. Aside from the amazing rooms, there is the fine Italian inspired cuisine with a different taste of wonderland to every dish served that will have you day dreaming about your experience for long after you leave. Rather go to Italia? No problem, we know just the place. CastaDiva Resort & Spa Lake Como, another new friend of ours, but for a good reason! 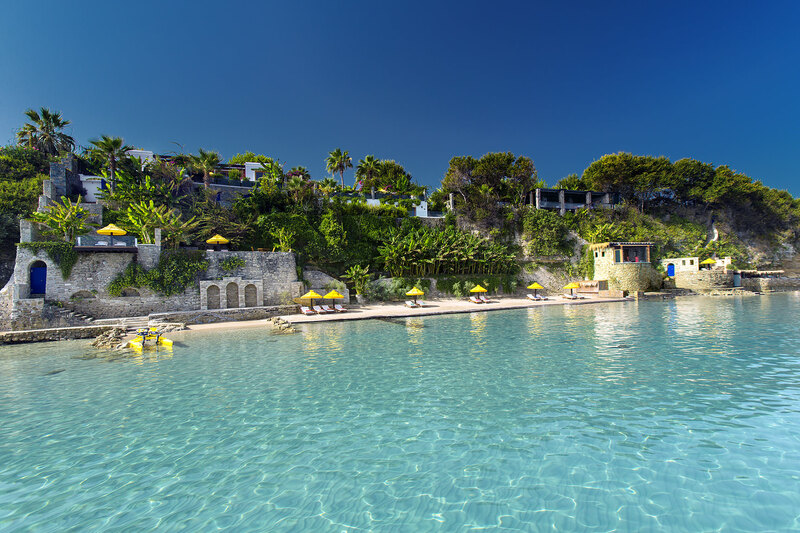 This 5-star luxury Hotel is surrounded by beautiful greenery and romantic beach shores. This hotel enriches its guests with an environment that enhances the Italian culture and hospitality. Aside from the excellent service received, this resort offers clients an abundance of beautiful scenery both surrounding the hotel, but also inside. The CastaDiva Resort is also a spa! Wellness travel is a growing trend in the world of travel recently as travelers have discovered the benefits and relaxing methods of these resorts combined with travel. For more information on our partner hotels, reach out to The Luxury Travel Agency at 1-647-551-4560 or at reservations@theluxruytravelagency.com and one of our professional Luxury Travel Advisors will be happy to help you.